Stay on top of the trends with our rose gold metallic ombre tumblers. 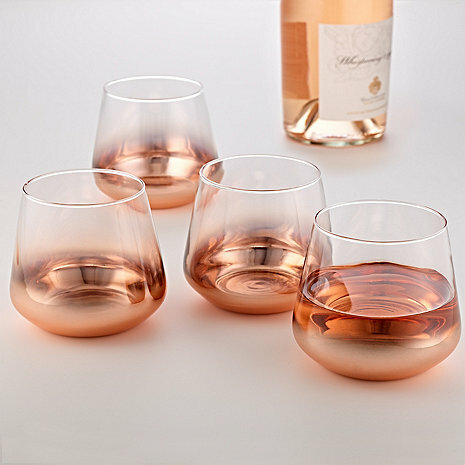 Set of 4 ombre rose gold wine tumblers. Hand washing recommended. 70 oz. decanter and four 12 oz. tumblers.